Learning a second language is fun! Its even more fun if you can share that learning with your child or partner. 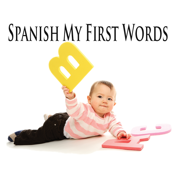 This great collection of apps is designed to help you learn Spanish by getting to know simple words on a given subject. Its also presented in such a way that it enables you to effectively test yourself and anyone learning with you by showing pictures, text and audio. This will ensure you learn the language with the correct pronunciation. Each colourful & eyecatching picture shows you the Spanish word for each object, and also lets you hear the word clearly when touched. Research has shown that people who are familiar with more than one language can achieve heightened learning skills,this is especially so in children. Young children really can benefit from knowing even a small amount of words from another language.